Dance along to some of the best DJ sets all weekend long at the world's premier electronic music festival in Miami, FL. As always, this year's true festival season kicks off with a bang at the one and only Coachella Valley in Indio, CA. One of the more rare fests, Rolling Loud is a popular hip-hop festival and it's back for it's fifth successful year in Miami, FL. Hang out at the beach (literally) while listening to some live music in Gulf Shores, Alabama. If you missed out on Ultra (or want to relive it,) Las Vegas's famous EDC kicks off in mid-May, a flagship event for the truly global electronic music brand. Sip on a glass of local vino at one of the country's most unique music festivals in the vineyards of Napa Valley, CA. If wine isn't your thing, take a trip to Massachusetts that weekend for the critically-acclaimed fest in Allston, MA, best known for its versatile lineup and production quality. Helping us round out the spring and dive into summer is New York's multi-genre fest, Governor's Ball at Randall's Island Park in NYC. Spend the weekend on hundreds of acres of nature at Tennessee's annual classic Music and Arts Festival at Great Stage Park in Manchester, TN, and hear live performances from a lineup that always draws a crowd. With a lineup spanning Top 100 Charts of nearly every genre, Firefly Festival promises a good time of glamping in The Woodlands of Dover, Delaware. They may be a little ways away, still, but these fests are can’t-miss events each year and it’s never too early to start preparing for the festival experience of a lifetime. Chicago’s biggest music festival takes place each year at Grand Park. With a view of the skyline and a star-studded lineup of the best names in pop and rock, Lollapalooza is a must-see in the string of Chicago’s summer fests. Burning Man is unlike any other festival. Rather than watching artists perform, participants join together to co-create the temporary Black Rock City in the Black Rock Desert of Nevada and build a community of acceptance and art. It’s an experience and an experiment in radical self-expression and an all-time favorite of attendees. 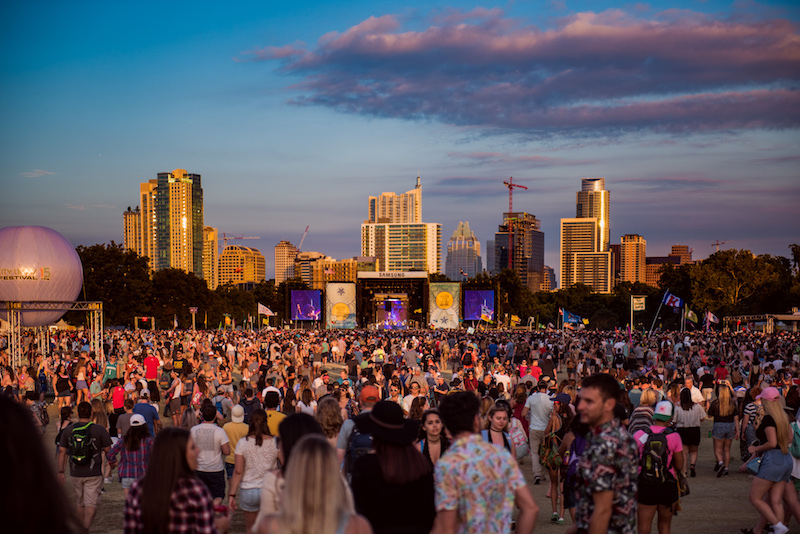 Last, but certainly not least in the festival season lineup comes Austin, Texas’s undeniable fest, Austin City Limits. Known for its genre-diverse lineup and delicious Austin cuisine, the two-weekend-long fest is the perfect end to round out festival season on a high note, and you won’t want to miss it. Want to attend your dream music fest this year? Whether you want GA tickets or your entire trip planned out for you, Xenia Events has you covered! Browse our festivals, contact us here or call (512) 900-4347 to get started on your dream music festival vacation!